Why is it Important for an Attorney to Advocate for Their Client? What Does It Mean to Advocate for Your Client? Home > Family Law > What Does It Mean to Advocate for Your Client? Assist: Right from the first meeting between an attorney and his or her potential client, a wise attorney will begin to assist the person seeking legal help by giving advice. In the initial consultation (many attorneys offer a free initial consultation which can be most beneficial to both potential client and attorney) an attorney should listen well to the concerns and needs of the individual and assist by offering some basic advice regarding the law surrounding the issue(s) in question and how a case of this nature would proceed. Assistance can also be given in assuring the attorney being questioned is qualified to appropriately help. Putting the potential client at ease and assuring him or her that the attorney truly cares about working toward a successful outcome will assist in the potential client being able to make a qualified decision as to the hiring of an attorney to handle their case. Additionally, once an attorney is hired, he or she should assist the client by keeping him or her informed of the progress of the case. This can be done by letter, phone, e-mail, or text, keeping in mind a client appreciates the method which will be the most cost-effective. As needed, in-office meetings will offer an additional chance to assist a client by answering questions, reassuring the legal professional is working diligently on behalf of the client, and going over documents and other proofs related to the case. Here, the main purpose is to assist a client in feeling confident about the progress of their case as well as gaining information important to the case. Defend: While this word obviously means to represent a client in court, there are other ways an attorney advocates for their client through defending them. There are times during the actual processing of the case that an attorney may need to actively work to defend the rights and/or “the best interests” of a client. For example, the opposing attorney may want to schedule a deposition at a time most unsuited to a client and the attorney representing that client needs to “defend” the needs of their client. And, in the courtroom itself, an attorney should be vigilant to testimony being given in order to make “defending” objections and know what additional defense will be needed. Having all the proof, documents, and paperwork was properly given to the court and opposing counsel ahead of time is also an important part of a good defense, which of course will advocate for a client. Plead: To plead is to make as strong an argument as possible in the defense of a client in court. A caring, well-prepared attorney will come to the courtroom understanding the nuances of the case as well as with a strong determination to obtain the best outcome for his or her client as is possible. Looking the part of a true professional, using a strong, confident voice, and being ever at the ready to defend a client’s case will go a long way in advocating a successful pleading. In considering the job of an attorney, it can be seen that much of it revolves around the art of advocating. 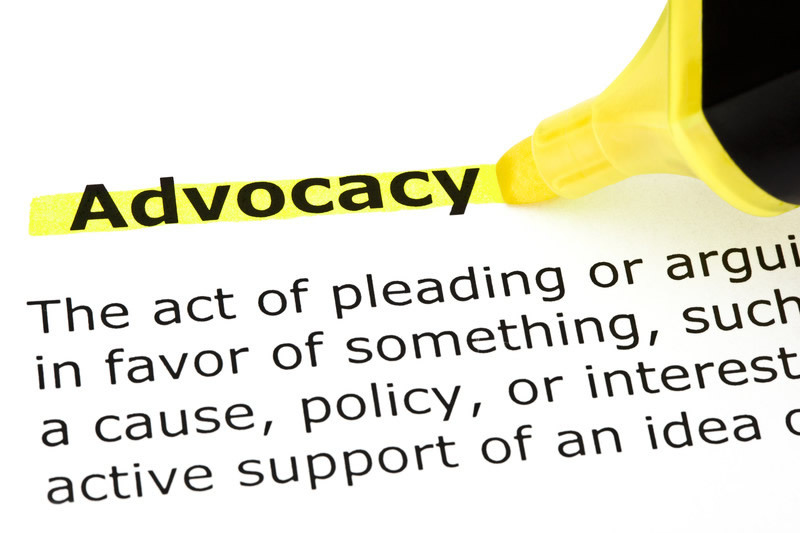 Whether an attorney is assisting, defending, or pleading, the role of an advocate is in use. In fact, all the case preparation would be of little use without a strong advocacy policy in place. When you are considering which attorney to hire, make sure he or she, in your opinion, want to not only represent you but be your legal advocate as well.